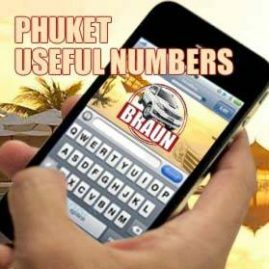 Phuket is on the southwest coast of Thailand. 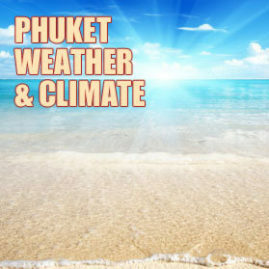 It is 860km south of Bangkok and 830km north of the equator (7.5 degrees latitude). This puts it on a parallel with countries such as Ethiopia, Nigeria and Venezuela. 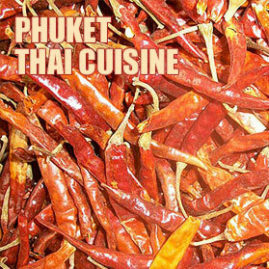 Phuket lies in the Andaman Sea which is part of the Indian Ocean. 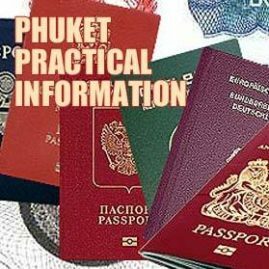 Phuket is the biggest island in Thailand and the only island big enough to be a province in its own right. The island is 49km long and 21km wide comprising a total area of 570 sq km. 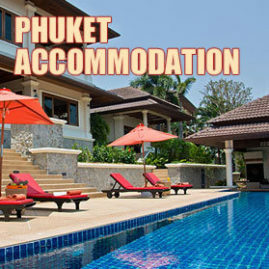 including 70 sq km from 39 smaller islands around Phuket. 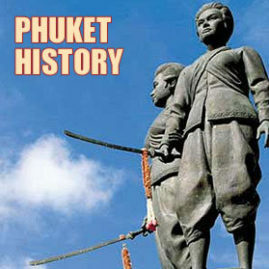 Phuket is separated from the mainland by a narrow channel and connected by the 600-meter Sarasin Bridge. 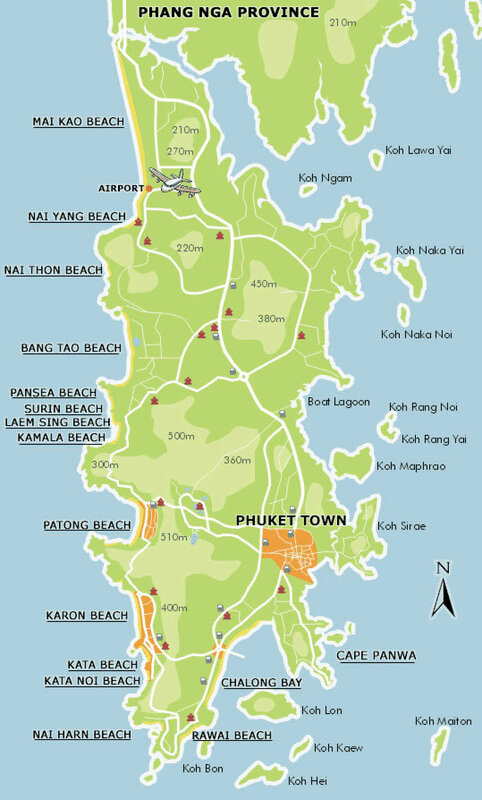 The geography of Phuket is varied. The island is mostly granite and sedimentary rock. There are many hills some rising above 500 meters. The main hill ranges run down the west coast of the island but there are hills everywhere. The flatlands are mostly used for agriculture such as rubber and coconuts. There are also mangroves and tropical rainforest in Khao Phra Thaew National Park. The best beaches are along the west coast of the island. They have been forged by the waves that beat into this side of the island through the rainy season creating spectacular beaches in bays split by rocky headlands. The east coast of the island has smaller stony beaches and limestone shoals. 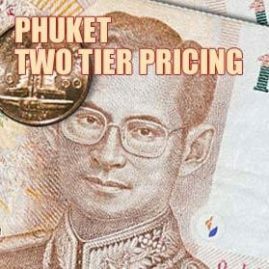 There are two types of island around Phuket. There are the granite islands that lie to the west and close to the south and east coasts. They tend to be forested low lying islands with beaches such as Koh Racha Yai and Koh Hee (Coral Island). Then there are the limestone islands to the northeast, and further out to the east and south. These islands tend to rise vertically from the sea producing dramatic scenery such as the Phi Phi islands and Phang Nga Bay. The limestone platform that produces these islands runs east of Phuket from Phang Nga province, through Krabi province and into Trang producing spectacular scenery all along this stretch of coastline.